Classic Army M16 Vietnam (2014 version) Airsoft gun AEG. 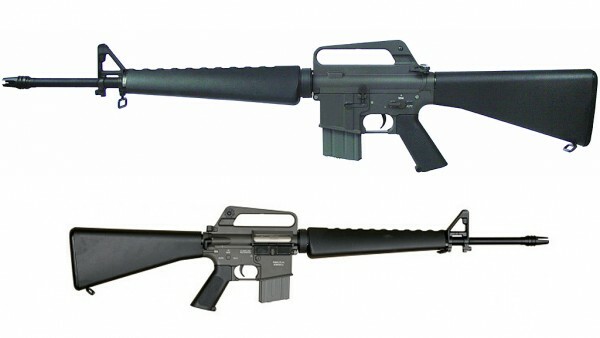 The M16 rifle, officially designated Rifle, Caliber 5.56 mm, M16, is the United States military select-fire adaptation of the AR-15 rifle. The rifle was adapted for semi-automatic and full-automatic fire. The rifle entered United States Army service and was deployed for jungle warfare operations in South Vietnam in 1963, becoming the U.S. military's standard service rifle of the Vietnam War by 1969, replacing the M14 rifle in that role.